Google got exactly what it wanted these holidays, as the U.S. Patent & Trademark Office ruled on Patent No. 6,192,476. 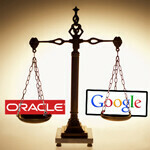 The USPTO rejected 17 of the 21 claims on the ‘476 patent, including Claim 14, which was the part being asserted by Oracle against Google in their ongoing Android litigation. Oracle is asserting 26 different claims against Google over its Android OS, including copyright and patent infringement, so this ruling will hardly make the lawsuit disappear. At the same time it will make winning on that particular claim very difficult, and also adds credence to Google’s claims that the patents at issue are not valid (other patents are still being reviewed). This is the second setback Oracle has faced this month, as earlier in December the presiding judge indicated he would likely throw out large parts of Oracle’s damages report. The damages report is meant to help guide jurors as to the appropriate amount of damages to be awarded (assuming Oracle wins). Be the first one to post a comment and get laid! 17 out of 21 but there were 26 claims? Apple sue Samsung Samsung Countersue Apple Verizon Join Samsung suing Apple Nokia sue Apple Motorola sue Apple Apple sue HTC HTC Countersue Apple Apple sue Google for Android Apple sue German Shop for Apple name Apple sue Pornographic sites using iPhone name Now Oracle sue Google over 26 patents infringement Ironically Sony Ericsson sues its own Fansite forcing them to close down. Poor fans.